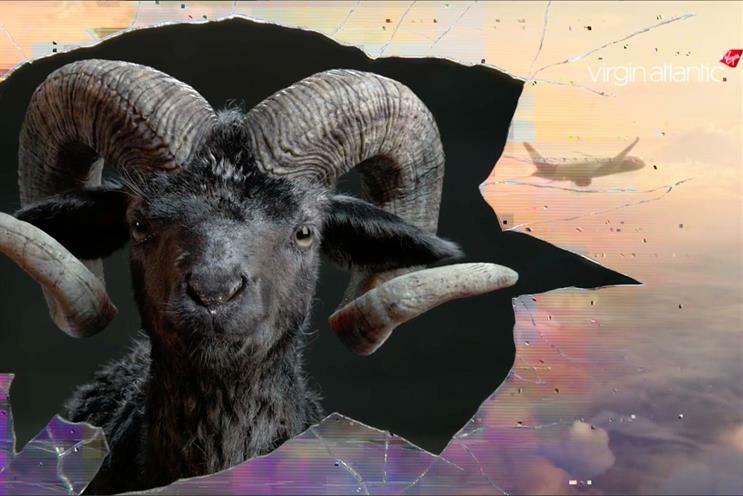 Volkswagen, the German car marque, is creating a cross-media campaign that will see the ram featured in its ads interrupt spots from other brands. The "Born confident" work by Adam & Eve/DDB will launch the T-Roc SUV and feature Bam, the self-confident ram, bursting into ads across Sky channels from Admiral Insurance and Virgin Atlantic. The activity will also feature in national press and out-of-home sites on ads from Wall’s and Harvey Nichols. Cracks will appear in the screen during the ad breaks and Bam will break through for the Volkswagen T-Roc ad to play in full. The work will break on Boxing Day. The idea has been created and produced by Adam & Eve/DDB, managed by Omnicom Media Group’s PHD. Volkswagen’s national communications manager Glyn Butterworth said: "The self-confident ram symbolises everything T-Roc is about, so we’re delighted to kick off our communications with an approach that amplifies this idea. "Media and creative solutions need to be increasingly innovative to drive cut-through and this is a great example of how both have been carefully considered together to drive the maximum impact of our communications."